Windows 10 Fall Creators Update is just slated to land next week. 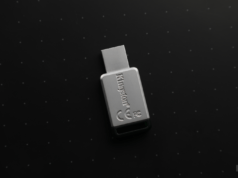 But, Microsoft is all set to jump to the next feature update, Redstone 4. 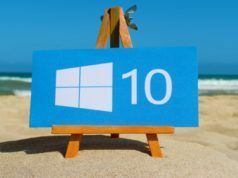 Currently, it doesn’t have a commercial name like previous Windows 10 updates have, but Microsoft has released Windows 10 Insider Preview Build 17017 for ‘Skip Ahead’ Fast Ring insiders to showcase the features which might make it to RS4. Microsoft has improved Cortana’s abilities to automatically suggest lists, known as Cortana Collections, by analyzing what movies and tv shows you watch, things you check on the web, etc. 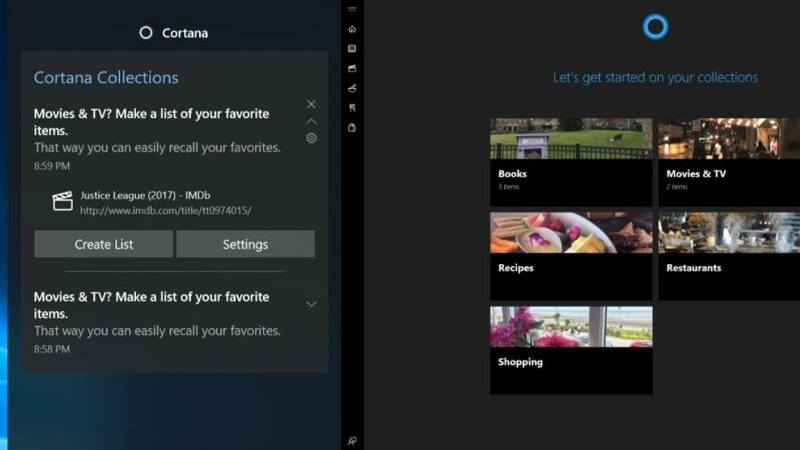 Cortana Collections are neatly organized in categories such as Books, Shopping, Movies & TV, Recipe, etc. Windows 10 Build 17017 also tries to a fix moderate inconvenience through user feedback. Cortana’s interface and Action Center were the two places users had to visit to take the next action for Cortana’s insights, and notifications. Now, things have been simplified, and proactive content related to Cortana is being migrated to the Action Center. 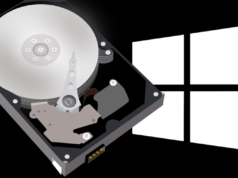 This will also clear some space in Cortana’s interface. 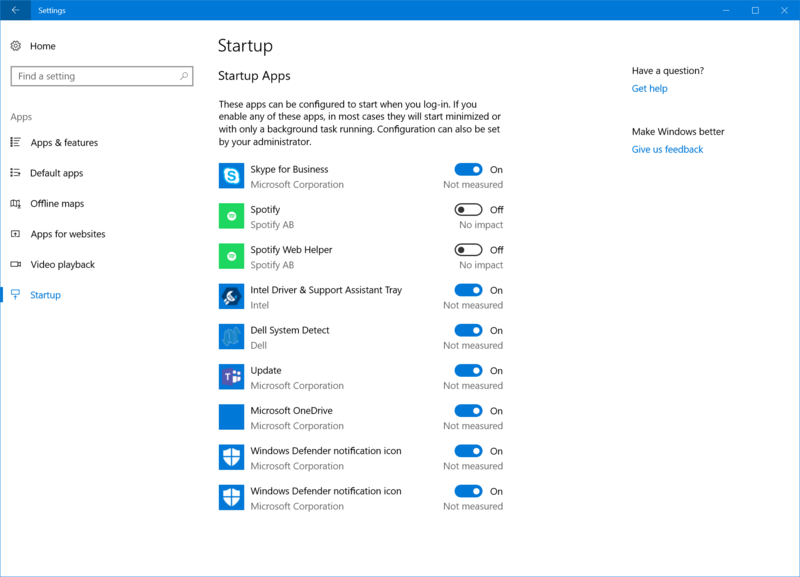 Another visible change is made to the way we enable or disable Windows apps on startup. In current Windows 10 versions, the startup apps option is in the Task Manager. But in the RS4 update, it will most likely find a place in the Settings app. In Windows 10 Build 17017, you find can disable apps from loading on startup by visiting Settings > Apps > Startup Settings. The list will include both UWP and regular desktop apps. For some insiders, the uninstalled apps were reappearing after a reboot, Microsoft has fixed that. Now, the notification which can’t be dismissed to the action center will carry a ‘cross’ button instead of an ‘arrow’. The language settings icon in the input flyout has been updated to be more consistent with the one used in the case of touch keyboards. The settings to disable hibernate and Fast Startup will be preserved across an upgrade, starting this build. Users who can’t find some new Feature-On-Demand (FOD) packages can head over to this Feedback hub post. When signing-in to PCs (via remote desktop) with certain GPU configurations and running Build 17017, a black screen might appear. You can read the complete list in Dona Sarkar’s blog post. And if you have anything to add regarding Redstone 4 update, drop your thoughts in the comments.